Home / OBD Diagnostics / Which OBD-II Software is Right for Your Car? OBD stands for On-Board Diagnostics. OBD-II is a computer based system found in most of the modern cars on the road. The OBD-II system helps you to monitor the emission of the car and to have information about the diagnosis of your car. As it saves a lot of time and effort to diagnose the car by providing detailed information about the working condition of the engine through various sensors in the Engine Control Unit (ECU) of the car. The OBD-II system is quite beneficial even while trouble shooting the car as it provides the trouble codes. Along with all these information you can also get to know more about the real time sensor readings of your car. The OBD-II system can show you the speed of the vehicle, RPM of the engine, torque through all the sensors present in your car. And after having all these information it also calculates essential data regarding overall performance of your car such as fuel economy and engine usage. But you need to have an OBD compliant car to perform diagnostic action with the help of OBD-II, which means all cars that you see on road are not OBD compliant. OBD compatibility of a car depends upon the facts like how old is the car or in which country it is manufactured because not all of the countries have a rule regarding the OBD system and most of the countries have recently executed the rule for the OBD systems in cars. The OBD-II system includes a 16-pin port that is pre-installed in your car below the steering wheel, an adapter and a scan tool. The adapter acts as a bridge between the scan tool and the car. Scan tools are basically specialized tools that give you user-friendly information about your car. The system works when the scan tool is connected to the port of your car through an ELM372 based OBD adapter. Stand alone scan tool: The stand alone scan tools are those which do not require any PC\Mobile to operate. But they have really limited functionality and can’t really be upgraded. They do not have any advanced diagnostic features and they cost a lot. PC\Mobile based: The PC\Mobile based scan tools those which require a PC\Mobile to communicate with your car through the OBD system and this is really where you are going to need a OBD-II software to operate the system. The PC\Mobile based scan tools are way much better than the stand alone tools. They provide you a wide range of data about the diagnostic of your car and are way easier to work with. Since, you’ll need OBD-II software to work with a PC\Mobile based scan tools to diagnose your car. AutoEnginuity scan tool: AutoEnginuity’s Giotto scan tool is a powerful platform for window based computer. The tool has coverage of about 52 carmakers. Along with the most numbers of carmaker’s it have a wide range of features that allows you to get information about the ABS, airbag, enhanced powertrain, instrument cluster, transmission and lots of other body parts. The Autoenginuity tool has more exciting features like runtime readings of sensor, bi-directional controls, adaptive resets and learns, system test and trouble codes retrieval & clearing. It prints the DTC and IM/Mode6 data is a customizable report format and this report provides an ease in the repair process of car. The IM/Mode6 data are properly translated and scaled. All the logs in XML and CVS are stored in a way that you can access it even when you are offline. By the help of the AutoEnginuity tool you can configure each individual sensor data as per your need. It provide a very accurate data for unlimited logs of the live vehicle sensors in XML or CVS. The data provided by this tool has a optimum accuracy up to 1ms. It auto configures all the sensor’s ranges, its scaling values and audible trigger alerts. This tool configures the interface to your suit preference. This tool not only have the most coverage of carmakers but also supports all the OBD compliant cars from 1996 to the newest from all over the Europe, Asia and its domestic market USA. The tools is easy updatable and modular. The company features coverage on demand through you can get compatibility for any vehicle you need within an hour on a simple call to the sales department of the AutoEnginuity. The tool receive proper update as per need due to the advancement of technologies. OBD Auto Doctor: The OBD Auto Doctor is an advance and highly capable diagnostic software used for automotive scanning. Your PC can simply be changed to a highly capable automotive scanner through OBD Auto Doctor. The user interface of the OBD Auto Doctor is so user friendly that any car enthusiast can monitor and diagnose the performance and malfunctions of the car. Check engine lights will no longer bother you as you can check the problem in your engine through the OBD Auto Doctor. In spite of being so user friendly the OBD Auto Doctor have a wide range of features that amazes everyone. Freeze frame is captured when a malfunction is detected in vehicle which contains the DTCs and the parameter readings. Through the OBD Auto Doctor the DTCs can be reset which will clear the check engine light. The OBD Auto Doctor software supports to check multiple control units of car such as the transmission control unit and the engine control unit and thus helps to provide enough information for proper repair of the vehicle. 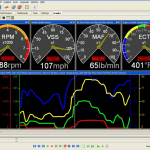 This software will get you the real time readings of the sensor and monitor the performance of the engine. The OBD Auto Doctor creates an offline database which allows you to search and browse the DTC history and thus you can have proper information about your car in present as well as in past. The most interesting part of the OBD Auto Doctor is the sensor and parameter. We already know that through OBD Auto Doctor we can monitor the real time working of car but there is something more that excites everyone about the OBD Auto Doctor and it’s the reading of typical sensors that includes the engine coolant temperature, fuel pressure, intake manifold and absolute pressure, air flow rate from mass air flow sensor. The OBD Auto Doctor supports over 126 powertrain parameters. The freeze frame and the DTC can be exported to a text file from the OBD Auto Doctor’s database. A feature of OBD Auto Doctor namely readiness monitor allows the vehicle to self test the emission. The OBD Auto Doctor can monitor the fuel economy and prepare the vehicle for the emission test. The software supports both gasoline and diesel engine. This software is available in 13 different languages. PCM Scan: PCM Scan is a fully featured automotive scanner and diagnostic tool. The PCM Scan supports a wide range of OBD-II hardware interfaces. All the vehicles from 1996 to the newest from Asia, Europe or America that are OBD compliant are supported by the PCM Scan. The PCM Scan allows you to view and log the diagnostic data in real time through the OBD-II port present in your car. The PCM Scan also shows the Diagnostic Trouble codes (DTCs) and the freeze frame data. PCM Scan offers an amazing user interface which is so realistic and easily customizable. To load the dashboard either the templates can be used or by the outstanding feature of the PCM Scan you can create your dashboard as per your choice. The gauges present on the dashboard can be customized to get desired information in a desired unit of measurement. Each graph on the dashboard can display up to 8parameter. You can place unlimited number of graphs and gauges on the dashboard of the PCM Scan. Full 3D view of the maps of desired parameters can be gained by the PCM Scan. The recording of the real time data is quite accurate nearly about 1ms. The playback speed of all the recorded data can be customized slower or faster than the real time. The launch reaction time, countdowns and the timing lights can be measured and displayed through a feature called drag strip and dyno. The drag strip and dyno allows to measure reaction time, 60’ time, 330’ time,0-60 MPH, 1/8 Mile speed, 1000’ time etc. The PCM Scan is supports English and metric units of measurements. The PCM Scan can read and store the DTCs. The PCM Scan supports the trouble codes of thousands of vehicles. You can simply clear the check engine light by the help of DTCs. A person who has knowledge about the OBD-II protocols can send the custom commands to the vehicle through the PCM Scan software to function any individual or group of sensor for the desired purpose. The PCM Scan allows monitoring any particular parameter and when the readings are met then the system will alert you by playing alert sounds. The PCM Scan has now been built on the Java script for the power users to customize the calculation system of the PCM Scan. Pro Scan: Pro Scan is among the most user friendly OBD-II software. Pro Scan comes bundled with the whole system setup that is the cables, the OBD-II adapter etc. The Pro Scan supports a large number carmakers. After having Pro Scan installed to the PC any normal owner who is do not have any information about the technical stuffs related to the vehicles can easily scan and diagnose the car as the all the data provided by the Pro Scan interface in so simple to understand. Pro Scan has brought great ease to the owners of the cars. In spite of having such a simple interface the performance of the Pro Scan can never be under rated. It supports almost all cars from 1996 to the present models of cars from wide range of carmakers. Pro Scan can be used more as a personal tool than for a professional purpose because of its user-friendly interface. The Pro Scan also provide the data about the Diagnostic trouble codes in a much simpler way so that the owner of the car can help himself fix the malfunctions in his garage and clear the check engine light. The Pro Scan software can monitor the fuel economy of the vehicle. Through Pro Scan owner can record the real time reading of sensor and monitor the performance of the engine. Pro Scan supports the freeze frame feature that allows capturing the malfunctions and the DTCs while recording the run time readings of the sensor. The freeze frame of the DTC and the malfunctions can be exported from the Pro Scan software to share with the experts and get advice about the solution to the malfunction. 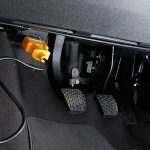 Supports vehicle connection manager that is used with the Pro Scan software in order to establish a connection between your PC and the on board computer of the vehicle. Pro Scan have a oxygen sensor tool that displays all the tests your car had for each and every individual oxygen sensor. The Pro Scan will help to find out that all the sensors are functioning well or not. Movi and Movi pro: The Movi and Movi pro are the Mac based scanning and diagnostic software for the vehicles. Movis are also very user friendly software but the basic difference between the Movi and other user friendly OBD-II software is that the Movi is supported by Mac only, whereas other user friendly software are supported by most of the popular operating systems like Windows, Mac, linux etc. Being supported only by the Mac does mean that the Movi have limited functionality. Through Movi and Movi pro a quick scan of the on board computer can be done which answers why the check engine light is illuminated and prevents the cost you’ll need to pay to mechanic for the same purpose. Through the Movi and the Movi pro you can get the Diagnostic Trouble Codes and the user can also get the freeze frame when a malfunction is found in the performance of engine on the screen of your Mac book. Using the Movi and Movi pro kind of scanning tools can prevent a risk of misfiring engines. To use the Movi and Movi pro software a setup containing following is needed: (a) An apple PC that has the Mac OS, (b) A OBD-II supported adapter, (c) The vehicle should be OBD compliant. Shows the real time data while running the diagnosis after a malfunction is detected in the vehicle. The report prepared after the diagnosis contains the DTCs and the brief malfunction in the engine of the vehicle. The Movi and Movi pro can make the vehicle check that the vehicle’s emission control can pass the emission test or not. This software can monitor the fuel economy of the vehicle at any instant. It can also give the information about the health of the battery of vehicle. The interface of the Movi and Movi pro can show the performance graph up to 4 different parameters of the vehicle. The latest update of the Movi pro shows the virtual horse power and the virtual torque of the vehicle. After having knowledge about the features of this software now you can chose one for your car. None of them can be listed as the best or the worst one but since you need to choose one, the one that meets your requirement that means the car scanner tool that satisfies your expectation is the one for you.